The June 4th anniversary of the Tiananmen Square Massacre has brought new calls from human rights advocates to the U.S. Congress and the Obama Administration to save the Voice of America radio and television broadcasts to China, which the Broadcasting Board of Governors (BBG) — a federal agency in charge of U.S. international broadcasting — wants to eliminate as of October 1, 2011. October 1 is the anniversary of the founding of communist China. Speaking at the same hearing of the House Committee on Foreign Affairs, Hollywood actor Richard Gere, Chairman of the Board of Directors of the International Campaign for Tibet, also called for saving Voice of America broadcasts. The Committee can also ensure that Tibet programs are properly funded. I know that budgets are tight, but U.S. government Tibet programs are as small as they are effective. For example, because of congressional initiative, the Tibetan language services of Radio Free Asia and the Voice of America broadcast information every day into Tibet. This is almost the only source of independent news available on the Tibetan plateau, and it works. When the Dalai Lama met President Obama in the White House in February 2010, monks in Amdo lit off fireworks to celebrate that the world’s greatest democracy still cared for the plight of Tibet. How did they know the new President would be meeting with their revered spiritual leader? By listening to the Voice of America. 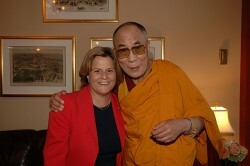 The House of Representatives Committee on Foreign Affairs is chaired by U.S. Representative Ileana Ros-Lehtinen (R-FL), who in her opening statement at the June 02 hearing was critical of the Obama Administration’s approach to the issue of human rights in China. Ann Noonan, President of the New York Chapter of the Visual Artists Guild spoke Saturday on behalf of Free Church for China at the New York City June 4th Tiananmen Square Commemoration, which was held at the UN’s Dag Hammarskjold Park. Young people throughout the world, like the young people who risked their lives 22 years ago in Tiananmen Square, are risking their lives today for basic human rights, freedom, and the right to participate in governing themselves. They look to the United States for inspiration. Their stories deserved to be shared. VOA is part of a Congressional mandate which provides news broadcasts that promote freedom and democracy from the United States to the world. In its budget request, the Broadcasting Board of Governors, which oversees VOA has proposed to end its radio and television broadcast to China. This is not part of any potential budget cut problems facing Americans, but rather, it’s Voice of America being forced to re-allocate an actually higher budget than last years away from Chinese language services. Today as we commemorate the 22nd Anniversary of the Tiananmen Square Massacre, a day in history when the world watched students in China who sought freedom be cut down, killed, jailed and exiled, I’d like to ask each of you to contact Members of Congress about plans that will censor Voice of America’s Chinese services as of October 1st. This campaign against VOA is insidious. It comes during China’s media crackdown on stories against Ai Weiwei and Nobel Peace Prize Laureate Liu Xiaobo. It comes during a time when China’s media has blocked news about uprisings in Egypt and Libya. It comes during a media crackdown in China against any stories shared about the blind lawyer Chen Guangcheng, and other prisoners of conscience. Why should we think that a nation as large and vast as China that already has to deal with an oppressive internet censorship should have the range of radio broadcast reduced or shrunk in depth or coverage? These changes will stifle the struggles of the young people in China who seek religious freedom and democracy. And why should we as Americans be the cause of these changes? Our Members of Congress need to reject the Broadcasting Board of Governors’ proposal to eliminate Voice of America’s Chinese services. We must maintain Voice of America’s broadcasts and continue to transmit our ideals of freedom and democracy to all. In April, the House Committee on Foreign Affairs Subcommittee on Oversight and Investigations, chaired by Rep. Dana Rohrabacher (R-CA), held a hearing entitled, “Is America’s Overseas Broadcasting Undermining our National Interest and the Fight Against Tyrannical Regimes?” to examine the failures of current U.S. strategic communications policy toward dangerous enemies like Iran and China. After the hearing, Rep. Rohrabacher issued a statementnoting that the Broadcasting Board of Governors (BBG) announced dramatic cuts in the Voice of America Mandarin and Cantonese language services, laying off 45 Chinese journalists and eliminating daily 12 hour Chinese broadcasts, while Xinhua, the official propaganda news arm of the Chinese Communist Party is aggressively expanding and opening offices in the U.S. According to reports, the Chinese have spent approximately $7 billion over the past two years on propaganda efforts. The BBG has also decided to retreat from using shortwave radio as means of broadcasting into China. The Communist “China Radio International” on the other hand, has expanded its efforts by tripling its English broadcasting since 2000 to over 280 frequencies. “I seriously question the wisdom of the BBG’s recent decision to switch from shortwave to an Internet based service that is much more vulnerable to the type of Internet controls and monitoring the Communist Chinese have been perfecting for years,” said Rohrabacher. David Wu, a Democratic member of Congress from Oregon, is also “utterly opposed” to any reduction in VOA’s radio broadcasts to China. He and Congressman Rohrabacher sent a joint letter to the House Appropriations Committee to secure funding to keep VOA broadcasts to China alive. The letter was co-signed by Rep. Thaddeus McCotter (R – MI), Rep. Chris Van Hollen (D – MD), Rep. Chris Smith (R – NJ) and others. Ted Lipien, President of Free Media Online (FreeMediaOnline.org), a California-based nonprofit which supports media freedom worldwide, said Saturday that the Broadcasting Board of Governors’ decision to end VOA radio and television broadcasts to China places victims of human rights abuses in China in greater danger of being exposed to the Chinese secret police, facing harassment and possible imprisonment. The BBG wants the Voice of America news to be available in Chinese only on the Internet, which is heavily censored in China. “The BBG will force human rights and pro-democracy activists to search for VOA news on the web, thus making it easier for the Chinese cyber police to identify them. Listening to radio and watching satellite TV in China is safe but trying to find the Voice of America on the Internet is both difficult and can be dangerous for many Chinese; the Broadcasting Board of Governors has shown remarkable indifference to victims of human rights abuses and others who suffer repression,” Lipien said. “The real effect of the BBG’s actions is to preserve unproductive jobs for BBG bureaucrats and their private contractor friends by eliminating positions of 45 VOA Chinese Branch journalists who specialize in human rights reporting.” So far, BBG officials have been ignoring appeals from members of Congress and human rights activists to reverse their decision on VOA Chinese broadcasts. The Broadcasting Board of Governors had already eliminated Voice of America broadcasts in Arabic and in Russian. The BBG has been consistently rated in government-wide surveys as one of the worst-managed federal agencies. By switching jobs between the BBG and its semi-private broadcasting entities, some of its current and former executives receive close to $300,000 in annual salaries and retirement benefits paid for by U.S. taxpayers. This may explain why the BBG members and staff have been eliminating broadcasting positions at the Voice of America and giving money to private contractors at its broadcasting entities operating outside of the U.S. government. BBG members have also been know to promote hiring of their former business associates and friends. Steven W. Korn, former Vice Chairman and Chief Operating Officer of CNN, has been named Friday President of Radio Free Europe/Radio Liberty (RFE/RL), one of several semi-private broadcasting entities run by the BBG. 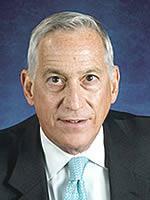 The BBG Chairman Walter Isaacson is is the former Chairman and CEO of CNN. RFE/RL’s board of directors, which made the selection, consists of members of the Broadcasting Board of Governors. The BBG is a bipartisan board comprised of nine members. Eight, no more than four from one party, are appointed by the President and confirmed by the U.S. Senate; the ninth is the Secretary of State, who serves ex officio. In addition to Chairman Isaacson and Secretary Clinton, they include Victor H. Ashe, Michael Lynton, Susan McCue, Michael P. Meehan, Dennis Mulhaupt, Dana Perino, and S. Enders Wimbush. “We are losing war of ideas because we are not in the arena the way we were in the Cold War… just at the moment when there is this ferment for democracy breaking out,” said Secretary of State Hillary Clinton in her recent testimony before the United States Congress. It was an indirect criticism of the BBG bureaucracy, which had eliminated VOA Arabic broadcasts and spent hundreds of millions of dollars on semi-private broadcasting to the Middle East without changing any of the negative attitudes in the region toward the United States. “The BBG became a stand-alone agency run by part-time board members, most of whom have had no experience in foreign policy or public diplomacy. The eight Board members exercise executive power, to the extent that eight CEOs can, and are not directly accountable to anyone. Since the professional backgrounds of the governors have been mainly in American mass media, they have sought to replicate that media in government broadcasting by refashioning much of it with American pop culture – Radio Sawa being the primary example. Over the past decade, the BBG has seen fit to eliminate VOA’s services to Brazil in Portuguese, to Russia, to India in Hindi, to the Arabic world, and now to China in both Mandarin and Cantonese. There seems to be a perverse logic at work here, in which it has abandoned attempts to reach the most important audiences in terms of our national strategic interests about who we are, what we are doing, and why. “The current set-up of U.S. international broadcasting with nine politically-connected individuals has a great potential for mismanagement, waste of taxpayers’ money, and numerous conflicts of interest,” said Free Media Online President Ted Lipien. “Instead of one CEO who would be fully accountable to the American people and the Congress, we have eight individuals, not counting the Secretary of State, who each have their own ideas, private interests, and friends whom they may want to hire as full time employees or private contractors. This may explain eliminating broadcasting jobs and draining funds from the Voice of America despite clear evidence that VOA has had a larger audience, better name recognition, and greater impact in countries like Russia and China. Ted Lipien is a former director of BBG Marketing and Program Placement Office for Eurasia and former acting Associate Voice of America Director. Human rights and media freedom advocates in the U.S. have been reposting this Tiananmen Anniversary video. Free Media Online urges further reposting and linking to this powerful video.